The Ma’agan Michael Ship "went back” in the water: 2500 years after the ship sank off the coast at Ma’agan Michael, and 30 years after the shipwreck was discovered and removed from the water, a replica of the vessel was launched on March 17th 2017. The replica was built over the past two years, using exactly the same materials, working methods, and tools that were used 2500 years ago. People with strong signs of autism spectrum disorder (ASD) show neural signs of anxiety when they see social touch and report unpleasant feelings about social touch by comparison to people with weak signs of ASD. “Until now, it was clear that many people with ASD dislike touch. This study enables us to understand that they actual experience touch in a similar way to anxiety,” explains Leehe Peled-Avron, a doctorate student in the Department of Psychology, who undertook the study. Researchers have found a mutation in the gene for the growth hormone receptor that promotes longevity, increasing men’s lifespan by an average of 10 years. This finding emerged from a new study led by Prof. Gil Atzmon. “We were aware before that variants involved with genetic paths related to the growth hormone are also associated with longevity. Now we have found a specific variant whose presence or absence is directly connected to it,” Prof. Atzmon explains. Beginning on June 5th, the University of Haifa will be hosting its 45th Annual Meeting of the Board of Governors. BOG Members, University friends, guests and faculty will convene for a four-day gathering, which will feature informative presentations, interesting discussions and exciting events. During the BOG Meeting, we will present our ambitious vision, innovative research projects and new academic collaborations. We will discuss the University's new directions and we will bestow awards upon prominent public figures, leading academic personalities and generous friends. The highest and most prestigious of these awards, and the highlight of the BOG, is the conferment of the Degree of Doctor of Philosophy, Honoris Causa. You can follow the BOG events on Twitter & Instagram. Class WhatsApp groups provide young people with space where they feel able to develop closer and more open relationships that allow them to express themselves in ways they couldn’t in the non-virtual domain. This is the finding of a new study at the University. “The participants in the study described WhatsApp as a place where there is respect for language and where all those involved share common terms and signs. The group chats are based on trust among the members of the group, and this enhances the possibility to be in contact,” explains Dr. Arie Kizel, the author of the study. A new study held at the University among Holocaust survivors has revealed a specific population group with a high suicide rate. The study found that people who immigrated to Israel from countries where most of the Jewish population was murdered in the Holocaust, such as Germany, Austria, Poland, and Greece, show the highest suicide rates. “People who immigrated to Israel during the Holocaust may have expected a safe refuge, but found themselves facing persecution once again during the period before independence. This situation may have contributed to the higher risk of suicide among this group,” commented Dr. Cendrine Bursztein Lipsicas, one of the authors of the study. The probability that people suffering from depression will complete treatment can be increased significantly by asking them three questions before beginning therapy, according to a new study. “Asking these three questions will save a lot of time in identifying the most appropriate treatment for the patient. The answers will help solve a dilemma that many patients face in choosing the best type of treatment,” explains Prof. Sigal Zilcha-Mano, who undertook the study. Do you ever dream of becoming the next Picasso? A new study at the University comparing art and social science students has found that visually creative students evaluate their sleep as of lower quality. “Visually creative people reported disturbed sleep leading to difficulties in daytime functioning,” explains doctorate student Neta Ram-Vlasov, one of the authors of the study. “In the case of verbally creative people, we found that they sleep more hours and go to sleep and get up later. In other words, the two types of creativity were associated with different sleep patterns. This strengthens the hypothesis that the processing and expression of visual creativity involves different psychobiological mechanisms to those found in verbal creativity”. We are proud to announce the launching of the University of Haifa Magazine Fall 2016 issue, published by the Division for External Relations and Resource Development. The magazine includes feature-length stories highlighting research activities, student work, fundraising activities, such as major gifts and new initiatives, and special events. We hope you will enjoy reading this edition. An e-magazine is coming soon. Prof. Ron Robin has assumed his position as the President of the University of Haifa, today, October 1st, 2016. "I am proud to begin my tenure as President of the University of Haifa, a place that was my academic home for twenty years. Our mission is to continue to advance the University of Haifa and to foster its position as a leading research institution with a meaningful and important social role", stated Prof. Robin. Prof. Robin holds a PhD in American History from the University of California at Berkeley (1986). He was a faculty member at the University of Haifa and has held several official positions within the University, the most recent being Dean of Students. He later joined NYU where he served as Vice Provost and was responsible for establishing two NYU international campuses – in Abu Dhabi and Shanghai. Prof. Robin is one of the top international experts in shaping future academic policy. Prof. Gustavo Mesch has assumed his position as the Rector of the University of Haifa. In the last three years, Prof. Mesch served as the Dean of the Faculty of Social Sciences. 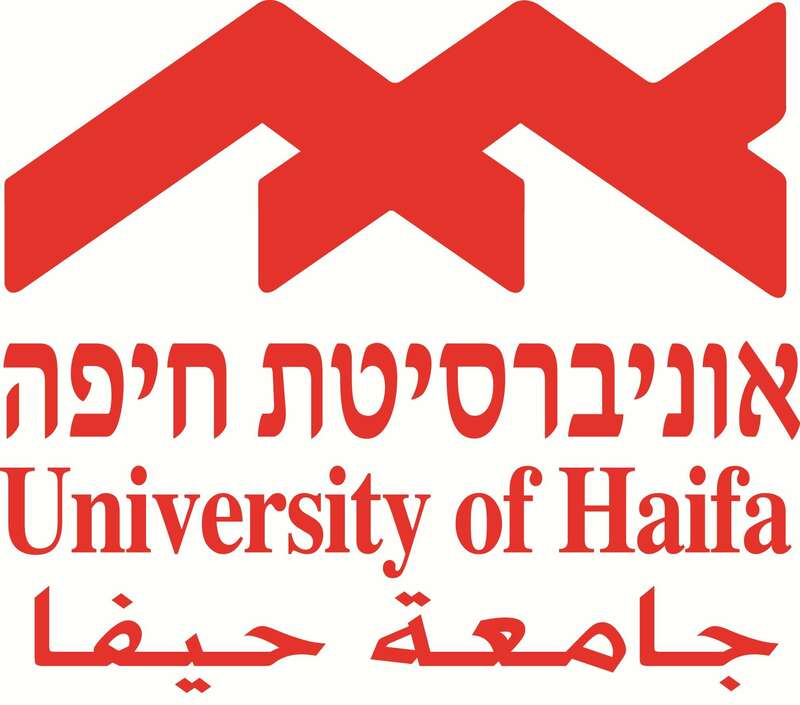 "Our main goal is to continue to promote the University of Haifa as an institution of research and as the best institution of higher learning for its students", stated Prof. Mesch. Prof. Mesch began his academic journey at the University of Haifa when he completed his first degree in 1988. He continued to study at the University and received his MA in Sociology in 1990. He continued with his graduate studies and received his PhD from Ohio State University in 1993. He came back home to the University as a faculty member and served in many roles until he served as the Dean of the Faculty of Social Sciences between the years 2013-2016. The University of Haifa mourns the loss of Shimon Peres, former Prime Minister and President of the State of Israel. Shimon Peres received an Honorary Doctorate from the University in 1985, in recognition of his unique contribution to building and reinforcing Israel's political and social strength. In 2010, Peres was the first person to receive the Outstanding Leadership Award, in recognition of his ongoing service to the State of Israel, for his remarkable contribution to spheres relating to Israel's security and international status, and more. In his acceptance speech he said "The meaning of leadership is not to rule, it is to defy convention. It is not to stand above people, but in front of them. Leadership is not governing, it's pioneering. This is also true regarding scientists. Knowledge and recollection are not enough to become a great researcher. In order to become a great scientist one must also defy convention." Throughout the years of his public service, Shimon Peres visited the University on several occasions. 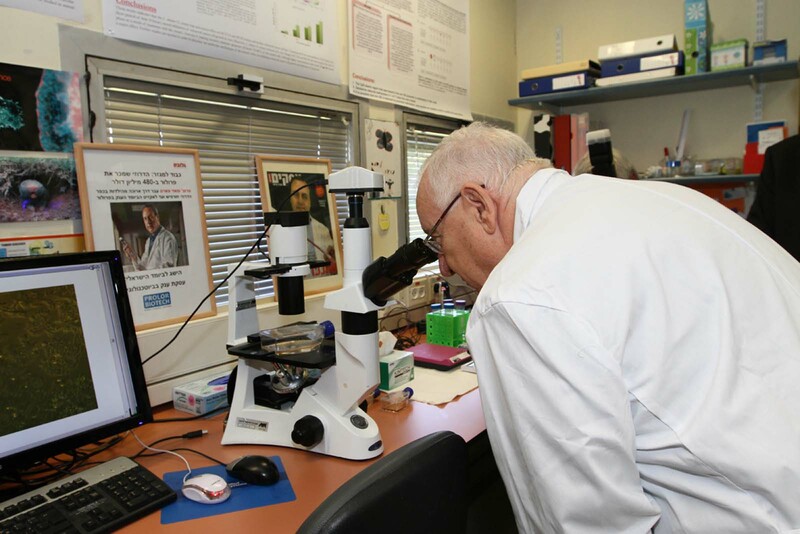 On his last visit two years ago, to the Leon H. Charney School of Marine Sciences, he learned about the University's vision and the importance of developing sea research in Israel. When We’re Unsure How to Respond, How Does Our Brain Decide whether a Situation is Pleasant or Not? Researchers from the Max Planck Institute for Human Cognitive and Brain Sciences in Leipzig and the University, have identified neural mechanisms that help us understand whether a difficult and complex social situation is emotionally positive or negative. “When someone offends you while smiling, should your brain interpret it as a smile or an offense? The mechanism we found includes two areas in the brain that act almost as ‘remote controls’ that together determine what value to attribute to a situation, and accordingly which other brain areas should be on and which should be off,” explains Dr. Hadas Okon-Singer of the department of Psychology, one of the leaders of the study. The handwriting performance of children with high-functioning autism differs from that of children without autism. Accordingly, the education system should consider the types and formats of tasks given to these children when they are integrated in regular schools. This conclusion emerges from a new study undertaken at the University. “The typical process of handwriting performance among children with high-functioning autism is unique, but while the education system addresses reading skills, it pays almost no attention to handwriting skills,” explains Prof. Sara Rosenblum, the author of the study. Dr. Michael Eisenberg, from the Zinman Institute of Archaeology and the Department of Archaeology, has been elected to be a corresponding member of the German Institute of Archaeology in Berlin (Deutsches Archäologisches Institut, DAI), which serves as the umbrella organization for German archaeological research throughout the world. “The news caught me completely by surprise. Selection by the board of one of the most prestigious organizations in the field of archaeological research certainly signifies international recognition of excellence. It encourages expanded cooperation with affiliated institutions, and opens the door to significant funding facilitated by the DAI. These pursuits should be our next targets,” said Dr. Eisenberg. A new psychological disorder has been identified in a series of recently published studies – Maladaptive Maydreaming (MD). Researchers from the University of Haifa, in Israel, Fordham University in New York City and University of Lausanne, Switzerland, have found that people with the disorder spend an average of 60% of their waking time in an imaginary world which they themselves have created, realizing that it is a fantasy, and without losing contact with the real world. “Daydreaming usually starts as a small fantasy that makes people feel good, but over time the process becomes addictive until it takes over their lives. At this stage the disorder is accompanied by feelings of shame and a sense of lack of fulfillment, but because till now the disorder has been unknown, when they come to receive treatment, therapists usually dismissed their complaints,” explains Professor Eli Somer of the University of Haifa, one of the researchers and the first to identify the disorder. Watch our take on "Each and Every Generation"
Babies with typical development show asymmetrical behavior in their lower limb activity during the pulling-to-stand (PTS) stage. This finding emerges from a new study undertaken at the University of Haifa. “From a developmental perspective it is very important to examine and understand the typical normative range of motor development in order to identify individual differences or atypical behavior", notes Dr. Osnat Atun-Einy of the Department of Physical Therapy. Dr. Atun-Einy undertook the study under the supervision of Prof. Anat Scher of the Department of Education and Human Development. How Do the Pitcher's Emotions Effect Batters? Emotions influence the human environment. When people express emotions, others can identify how that person feels according to facial expressions, body language, tone of voice, and so forth. Past studies have proved the interpersonal impacts of emotions. An emotion can be contagious, can pass from one person to another, and therefore can influence group performance. An expression of anger during negotiations may be strategic, symbolizing threat and implying that the other side should move toward the angry person. In the current study, undertaken by a team of researchers from the University of Amsterdam and led by Dr. Arik Cheshin of the Department of Human Services, the researchers sought to examine the interpersonal ramifications of emotions in the context of baseball. Do the gaze and body language a second before the pitch influence the batter? “The players stand opposite each other in one of the two most famous duels in sport. The two sportspeople look each other in the eye; one makes a move, and the other responds to it. We wanted to see whether the expression of emotion offers a clue about this move – and we found that it does,” Dr. Cheshin noted. The University and East China Normal University (ECNU), the largest university in Shanghai, will establish a joint laboratory building on the ECNU campus for the joint Shanghai-Haifa Research Center. This is the first cooperative venture of its kind between the Israeli and Chinese academic worlds. The agreement to establish the agreement was signed at the University, and it will include laboratories in four research fields: ecology, big data, biomedicine, and neurobiology. The building will be funded entirely by the Chinese: the initial sum of three million dollars has been provided by the Chinese government and the promoter who will construct the building. The University of Haifa mourns the Passing of Leon. H. Charney, Honorary Chairman of the Board of Governors, a true friend to the University and one of our pillars who has tirelessly and lovingly worked to promote and develop the university, for the sake of strengthening the State of Israel. "Leon was a true friend who deeply cared about the State of Israel. We say goodbye to a dear man, a special man, and a friend. His contributions over the years have been invaluable and have laid a foundation that will be here for eternity", said Amos Shapira, President of the University. Oxytocin - “the love hormone” - may enhance compassion of people suffering from symptoms of post-traumatic stress disorder (PTSD), according to new study conducted at the University of Haifa and Rambam Health Care Campus: “The fact that the present study found, that Oxytocin may improvement compassion among patients with post-traumatic stress disorder toward women, provides new evidence that oxytocin may be able to improve the social behavior of these patients,” said Professor Simone Shamay-Tsoory from the Department of Psychology, who led the study. For the first time in excavations of ancient Near Eastern sites, a winery has been discovered within a Canaanite palace. The winery produced high-quality wine that helped the Canaanite ruling family to impress their visitors – heads of important families, out-of-town guests, and envoys from neighboring states. “All the residents of the Canaanite city could produce simple wine from their own vineyards. But just before it was served, the wine we found was enriched with oil from the cedars of Lebanon, tree resin from Western Anatolia, and other flavorings, such as resin from the terebinth tree and honey. That kind of wine could only be found in a palace,” says Prof. Assaf Yasur-Landau of the Maritime Civilizations Department, one of the directors of the excavation. The full findings of the 2015 excavation season was presented at the conference “Excavations and Studies in Northern Israel,” which took place at the University of Haifa, and in May 16 at the Oriental Institute in Chicago. Prof. (Emeritus) Eviatar Nevo from the Institute of Evolution is the 2016 winner of the Israel Prize for Life Sciences will receive his award on the Israeli Independence Day this year. Prof. Nevo, one of the leading scientists in the modern evolutionary biology, was chosen for this prestigious Prize for bringing a greater breadth and depth to the understanding of biological species and their adaptation to changing environmental conditions, as well as for his groundbreaking research that has opened up new and exciting directions, which could lead to breakthroughs in human diseases including cancer. "Dear Prof. Nevo, this great distinction is yours alone, but I must admit that it fills all of us here at the University with pride and honor," said Amos Shapira, President of the University, in congratulating Prof. Nevo. The greater the level of emotional intelligence of workers employed in the public domain, the better the service they provide, according to new research conducted at the university. “The study supports the emerging recognition that the understanding and managing of emotions play a significant role in the work of public service providers alongside the so-called 'rational' aspects of their work,” said Zehavit Shabtay Levitats, a doctoral student at the School of Political Science who conducted the research. A preliminary study undertaken at the University and the European Center for Disease Prevention and Control (ECDC) has found a linkage between the exceptionally hot and dry winter and spring recently experienced in northeast Brazil and the outbreak of the zika virus. “The extreme temperature and drought are due to a combination of the El Niño phenomenon and the climate changes of recent years,” says Dr. Shlomit Paz, who undertook the study, which was published in The Lancet, one of the most prestigious scientific journals in the world. The Division of Communications and Media Relations at the University of Haifa was established in 2005, as part of a University resolution to reorganize all media and public relations matters. Information, comments, and suggestions are welcome at our Division of Communications and Media Relations. Best wishes for a happy and successful 2016! The University renamed the Faculty of Social Sciences after University friends Paul and Herta Amir. Thanks to their $10 million gift, the single highest gift ever given to the University by a donor to one project, 4 additional floors will be added to the Buildings of the Faculty of Social Sciences, 10 new laboratories will be built and new researchers, amongst whom will be returning scientists, will be absorbed into the various departments. A new study conducted at the University of Haifa and published recently in the Journal of Neuroscience has identified activity of brain proteins associated with memory impairments in Alzheimer’s disease, and has also found that “repairing” this activity leads to an improvement in memory. “In the study we found that the nerve cells in the mouse models of Alzheimer face a type of metabolic stress. When a cell faces such metabolic stress, it is logical that it will reduce its activity level in order to survive. The problem is that this stress is chronic and leads to impairment of cognitive functioning,” explains research student Yifat Segev, who undertook the study together with Dr. Iliana Barrera and additional colleagues from Dr. Rosenblum’s laboratory and researchers from the medical school in Bergen, Norway. The researchers hope that the new start-up they have founded on the basis of the findings will enable the development of a drug that will delay the onset of cognitive symptoms. The President of the State of Israel, Reuven (Ruby) Rivlin, paid a visit to the University . The President, accompanied by university President Amos Shapira, Rector Professor David Faraggi, members of the university’s administration and deans of the various faculties, visited the Laboratory of Molecular Genetics headed by Prof. Fuad Fares, where he was presented with the key research projects being conducted at these advanced laboratories, projects which focus on understanding the structure and function of proteins by means of genetic engineering for the research of cancer including the discovery of genes involved in the development of cancer, with the aim of developing new strategies for diagnosing and treating the disease. Excavations at the Kursi site on the shores of the Sea of Galilee have uncovered an inscription in Hebrew letters engraved on a large marble slab, dating back ca. 1,600 years. No similar artifact has even been found before in Israel, and the finding confirms for the first time that the ancient settlement at the site was Jewish or Judeo -Christian. The excavation is led by Dr. Haim Cohen and Prof. Michal Artzy of the Hatter Laboratory in the Recanati Institute for Maritime Studies, in cooperation with the Antiquities Authority and the Nature and Parks Authority’s Kursi Beach site. Exposing female adolescent rats to stress before they even become pregnant leads to changes in behavior and the hormonal system not only among their children but also among their grandchildren; this according to a new study from the University. Dr. Inna Gaisler-Salomon and doctoral student Hiba Zaidan, in collaboration with Prof. Micah Leshem, found in previous studies that exposing rats to stress during adolescence, before they ever become pregnant, causes behavioral changes among their direct offspring when the latter reach adulthood. The researchers also found a gene (CRF1) related to stress which expresses itself differently in the brain of individual offspring from the moment they are born. According to the researchers, this finding suggests that it is not maternal care which influences variations in offspring, regarding stress. For the first time, a scientific study has observed bonobos (an analogous race to chimpanzees) making sophisticated use of ancient pre-agricultural tools in a manner similar to that which has hitherto been considered the prerogative of archaic pre-human hominins and other members of the Homo genus. Among other findings, a bonobo was observed for the first time making and using spears in a social setting for the purpose of attack and defense. “I believe that the current study will break down our cultural hang-up as humans concerning the inherent capabilities and potential of bonobos and chimpanzees,” says Itai Roffman of the Institute of Evolution at the University of Haifa, who undertook the study (as a recipient of the Adams Fellowship from the Israel National Academy of Sciences and Humanities). Developing an original and creative idea requires the simultaneous activation of two completely different networks in the brain: the associative - “spontaneous” - network alongside the more normative - “conservative” - network; this according to new research conducted at the University. The researchers maintain that “creative thinking apparently requires ‘checks and balances’.” The new research was conducted as part of the doctoral dissertation of Dr. Naama Mayseless, and was supervised by Prof. Simone Shamay-Tsoory from the Department of Psychology in collaboration with Dr. Ayelet Eran from the Rambam Medical Center. Flying robots, skeletons and skulls, brain decomposed into two, lighting our tower and a lot of academic action. University of Haifa wishes you a Happy New Year, a year of curiosity and expanding knowledge. Because for us- knowledge is power. Healthy Sisters of women with eating disorders show a higher level of depressive symptoms than women whose sister is not suffering from an eating disorder, according to a new study. The study also found that the relationship between the sisters, one of whom has an eating disorder, is worse than that between sisters neither of whom suffers from an eating disorder. “The worse the relationship between the two sisters, the greater the level of psychological distress becomes for the healthy one, which in turn places her at risk of developing an eating disorder of her own,” said Prof. Yael Letzer from the Faculty of Social Welfare and Health Sciences. 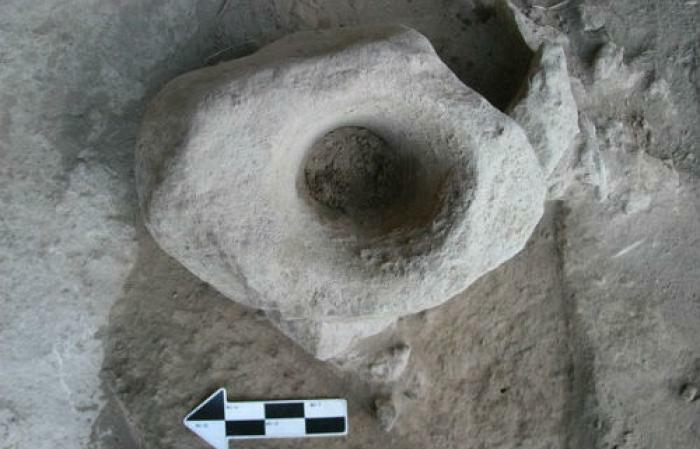 They decorated graves with flowers, held ceremonial meals before their funerals, and – as a new study from the University of Haifa now shows – the Natufians who lived in our region 15,000 – 11,500 years ago also created massive mortars that were used to pound food at their burial ceremonies. The pounding sound of these large mortars informed the members of the community that a ceremony was underway. “The members of the Natufian culture lived during a period of change, and their communal burial and commemorative ceremonies played an important role in enhancing the sense of affiliation and cohesion among the members of the community,” explain Dr. Danny Rosenberg and Prof. Dani Nadel, from the Zinman Institute of archaeology who undertook the study. The campus will be closed between 26.8-1.9 for our annual summer vacation. Information about activities that will take place during this week can be found here. We look forward to seeing you when we return. Wishing everyone a happy vacation. Has the “Baron de Rothschild’s Ship”, Lost over 100 Years Ago, Been Found? The “Baron de Rothschild’s Ship” was one of three ships used to carry raw materials from France to a glass factory established by the baron at Tantura. The ship vanished without a trace in the late nineteenth century. Has it now been found more than a century later? In a new study, researchers from the Leon Recanati Institute for Maritime Studies seek to show that a shipwreck discovered at Dor Beach in 1999 may be identified as the missing Baron’s Ship. “We know that two of the baron’s three ships were sold, but we have no information concerning the third ship. The ship we have found is structurally consistent with the specifications of the Baron’s ships, carried a similar cargo, and sailed and sank during the right period,” explained Dr. Deborah Cvikel and Micky Holtzman, who are investigating the shipwreck. A new study at the University has used “big data” analytical methods to reveal the “social character” of genes – a phenomenon in certain diseases whereby genes operate jointly rather than independently. “The problem is that the possible number of combinations of different genes is enormous, and it is almost impossible to examine them all effectively and reliably,” the researchers explain. “Our study offers a solution to this problem.” The study, which was undertaken as part of a master’s thesis by Pavel Goldstein from the Department of Statistics, and was headed by Dr. Anat Reiner-Benaim from the department in cooperation with Professor Abraham B. Korol from the Department of Evolution and Environmental Biology, proposes a new method for discovering complex and rare genetic effects that form part of the mechanism of creation of complex diseases, such as autoimmune diseases. Prof. Uri Shanas of the University's Oranim campus has launched an unusual new initiative: a massive, international, and democratic “purchase group” open to all that aims to save the Earth. “It is neither possible nor necessary to conserve the entire planet all the time,” Prof. Shanas explains. “But if we manage to conserve even a small percentage that is home to an unusual diversity of plant and animal life in danger of extinction, we can go some way to halting the current process of species extinction.” Prof. Shanas is using the crowdsourcing technique to raise the funds needed to launch the initiative. Resistance training in the gym leads to a fall in liver fat levels. This is the finding of a new study held at the University in cooperation with Tel Aviv Medical Center and Tel Aviv University. “For patients suffering from physical limitations or low motivation that prevents them performing aerobic exercises, resistance training can be an effective alternative,” comments Dr. Shira Zelber-Sagi from the School of Public Health, who undertook the study. According to new research conducted at the University of Haifa, eating salty foods does not necessarily increase a sense of thirst. “Based on the notion that the consumption of salt increases thirst, the concern has arisen that it also leads to an increased consumption of sugary drinks. However, our study found little support for the assumption that salt invariably increases drinking,” said Prof. Micah Leshem of the Department of Psychology, who conducted the research. Meet our guest, glowing a phosphorescent shade of green: a new jellyfish which has arrived from Japan and was observed for the first time in the Mediterranean Sea during a routine survey conducted by Dr. Gur Mizrahi, a researcher from the laboratory of Dr. Dan Tchernov in the Leon H. Charney School of Marine Sciences: the Aequorea macrodactyla (Cnidaria Hydrozoa), a species of medusa spotted repeatedly in the Sea of Japan. The good news: This medusa is not dangerous to humans. The bad news: its arrival heralds that much more dangerous visitors can get here as well. “This is a particularly unique jellyfish, as it contains a fluorescent green-colored protein the role of which, despite many theories, is still not clear to science. Despite its small body – just a few centimeters in length – it devours plankton and small crustaceans; but we can stay calm – as it’s not dangerous to humans,” said Dr. Mizrahi. Young people’s brains cope with stress in a completely different way to adults, in complete contrast to the conventional wisdom that the brains of humans of all ages act similarly. This is the conclusion of a study conducted on rats at the University of Haifa. The study found that young rats not only extinguished fear much more rapidly, but that while in adult rats the plasticity of the prefrontal cortex declined, among young rats a different mechanism actually enhances plasticity. The University will award six Doctor of Philosophy honoris causa degrees to:Prof. Robert (Uri) Alter, Prof. Carol Padden, Mr. Felix Posen, Ms. Orna Porat, Mr. Noah Klieger and Mrs. Shira and Mr. Jay Ruderman, in the course of the University’s 43rd Meeting of the Board of Governors events. Men and women attracted to men are more empathetic than men and women attracted to women, according to a new study from the Department of Psychology. “People attracted to a particular gender, whether they are heterosexual or homosexual, have common social tools, and thus exhibit the same level of empathy,” said Professor Simone Shamay-Tsoory of the Department of Psychology who conducted the study. The University and the East China New University (ECNU) of Shanghai inaugurated a joint Shanghai-Haifa research center in a festive ceremony. This is the first center of its kind in Shanghai for Israeli and Chinese academia, and it will enable researchers from both countries to submit research proposals to Chinese research funds. The Chinese government, who finances these funds, invests an estimated 40 billion dollars in grants each year. An impressive achievement for Dr. Shlomo Wagner from the Department of Neurobiology who, along with three other research partners from universities in Germany, the USA, and France, has been awarded a prestigious grant awarded by the Human Frontier Science Program (HFSP), a EU-funded organization which encourages ground-breaking research in science. The aim of their study: deciphering the action mechanism in the brain of the hormone oxytocin which is responsible for social communication. The research grant awarded to the four is in the sum of $1.3 million. Why are one of three people aged over 70 discharged with functional decline? One in three patients aged 70 and older who are independent in their daily functioning and are admitted for acute conditions, like pneumonia, are discharged from the hospital with functional decline and around one in two report a decline in functioning a month after their discharge, according to a new study conducted by the University of Haifa. “A patient who is admitted for a serious illness, like complications from pneumonia or exacerbation of a heart condition, expects to leave the hospital in a better state than the one s/he entered, but in practice this isn’t always the case,” say Dr. Anna Zisberg and Dr. Efrat Shadmi from the Cheryl Spencer Department of Nursing, who conducted the study, which was recently published in the Journal of the American Geriatrics Society. Just as they did during the latest war in Gaza in 2014, cyber renegades at Anonymous are once again threatening Israel with an electronic Holocaust. Although they are virtual attacks, the danger and subsequent harm are very real. Exposure to cyber-attacks, warn researchers from the University in a recent study, causes significant stress and aggressive behavior, alongside calls for protection and retaliation. In light of Anonymous’ recurring threats against Israel, it is important to know that cyber terror causes more than inconvenience. “There are, more importantly, grave physiological effects upon a person’s mind and body,” says the lead investigator, Prof. Daphna Canetti of the School of Political Science. A large bronze mask of the god Pan, the only of its kind, was uncovered at the University of Haifa’s excavation at Hippos-Sussita National Park. According to Dr. Michael Eisenberg, bronze masks of this size are extremely rare and usually do not depict Pan or any of the other Greek or Roman mythological images. “Most of the known bronze masks from the Hellenistic and Roman periods are minature". A rare copy of the Tanakh (Old Testament) that reached Israel in a circuitous fashion and was donated to the University by the late film producer and director Micha Shagrir, was reunited with its “twin,” a copy of the same edition that was already in the Rare Books Department of the Younes and Soraya Nazarian Library. Do you work in customer services? If you do, it is better to express your positive interpersonal feelings naturally. Suppressing the benevolent interpersonal emotions of employees for customers has a negative impact on customer satisfaction, as indicated for the first time in a new study conducted by Prof. Dana Yagil of the Department of Human Services at the University of Haifa. The study was published in the journal Motivation and Emotion. “Suppression of positive interpersonal emotions is contrary to natural behavior in social interactions,” said the researcher. The University will be closed tomorrow, Friday, February 20th 2015, due to the expected extreme weather conditions, as roads may be blocked or icy. All exams and classes are cancelled tomorrow. However, exams and classes at the Port Campus will continue as scheduled. The University of Haifa and the East China Normal University (ECNU) in Shanghai signed a memorandum of cooperation on the construction of the Shanghai-Haifa International Research Center, the first of its kind in Shanghai for Israeli and Chinese academia. The joint fields of research already agreed upon include neuroscience, mathematics education technology, computing and data management, and environmental management. The collaboration between the universities will enable Israeli and Chinese researchers to submit research proposals to Chinese research funds. “This is another step in the University of Haifa’s international activity, and it will open up new horizons for the university’s researchers, in terms of the growing academic knowledge and capabilities of the Chinese academia, in terms of research infrastructures, and in terms of resources,” said Prof. David Faraggi, the University of Haifa Rector, who signed the agreement with his Chinese counterpart, the President of ECNU. For the first time, grape seeds from the Byzantine era have been found. These grapes were used to produce “the Wine of the Negev” - one of the finest and most renowned wines in the whole of the Byzantine Empire. The charred seeds, over 1,500 years-old, were found at the Halutza excavation site in the Negev during a joint dig by the University of Haifa and the Israel Antiquities Authority. “The vines growing in the Negev today are European varieties, whereas the Negev vine was lost to the world. Our next job is to recreate the ancient wine, and perhaps in that way we will be able to reproduce its taste and understand what made the Negev wine so fine,” said Prof. Guy Bar-Oz of the University of Haifa, director of the excavation. A first of its kind genetic study confirms the history of the Druze community: The community began to form genetically in the 11th century AD, and there has since been no genetic impact of other ethnic groups on the community. This is according to a new study conducted by a team of researchers led by Prof. Gil Atzmon of the Department of Human Biology at the university, Prof. Jamal Zidan of the Ziv Medical Center, Zefat, and Prof. Eitan Friedman of the Chaim Sheba Medical Center, Tel Hashomer. “This is the first genetic study to discover that the Druze community has genetic origins in the 11th century AD,” said Professor Atzmon. This genetic finding correlates with the Druze community’s beliefs regarding their origin. Do green roofs and solar panels work well together? There’s plenty of cold weather still to come, but the University of Haifa is preparing for the sun, with a new study that examines whether solar electricity panels and green roofs can work well in tandem. The Kadas Green Roofs Ecology Research Center, headed by Prof. Leon Blaustein, researches the potential contributions of green roofs – roofs that are partially or completely covered with vegetation. With ongoing urbanization, which reduces the variety of species found in cities, green roofs can increase biological diversity, and also provide insulation, bringing energy benefits to building owners who will save money on heating and cooling. Parents who very closely monitor their children’s Internet use in an attempt to reduce unsafe online behavior may actually be achieving the opposite effect, according to a new study conducted by University of Haifa researchers. 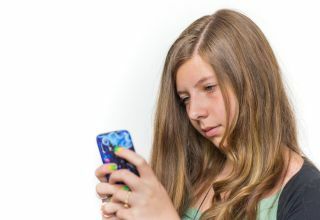 “It seems that during adolescence, during which teens are seeking ways to achieve autonomy, overly restrictive monitoring actually motivates them to seek ways to circumvent the supervision,” say the researchers. Involuntary hospitalization of patients with anorexia nervosa in severe condition is not detrimental to their recovery process and achieves similar positive results to those of patients who were willingly hospitalized. This is according to a new study conducted by the University of Haifa. “This finding is very significant and should be a milestone for further legislation of the bill allowing forced treatment of anorexia patients whose lives are at risk, which passed its initial reading in February, 2012. The bill will make the difference between life and death for these patients,” said Prof. Yael Latzer of the Faculty of Social Welfare and Health Sciences of the University of Haifa. The issue of vaccination hesitancy and refusal often makes headlines in the media and worries health authorities. However, a new study by Dr. Anat Gesser-Edelsburg, Dr. Yaffa Shir-Raz and Prof. Manfred S. Green from University of Haifa, School of Public Health, published in the Journal of Risk Research suggests that even parents who are not "vaccine refusers" and who usually comply with the routine vaccination programs may hesitate or refuse to vaccinate their children based on poor communication from the relevant healthcare provider, as well as concerns about the safety of the vaccine. In two articles recently published in leading journals (Ugarit Forschungen and Semitica), Prof. Gershon Galil of the University of Haifa (Department of Biblical Studies) presented important information about the period of David’s reign, based on new archaeological and epigraphic data unearthed in northwestern Syria and southern Turkey. In the Community Ecology Lab, headed by Prof. Leon Blaustein, researchers have found a salamander tadpole which has two heads. Researchers at the lab, Dr Ori Segev and Antonina Plavikov, noted that while they had observed an incidence of deformity, especially among the limbs of salamanders, in the past such cases of two heads were more rare. The reason for this deformity is unknown, but the chief theories are pollution of water sources, changes in radiation and the influence of a small population. Is this the end of “fake exemptions”? It is possible to detect when we provide false information regarding our health conditions through our handwriting, according to a new study conducted at the University of Haifa. The study used a computerized system, which was developed by Prof. Sara Rosenblum from the University of Haifa and that was patented recently, to analyze the handwriting process. “Our findings can provide the health care system and insurance companies with a fairly simple tool with which to discover medical fraud, without the need for intrusive devices such as the polygraph that tries to detect physiological changes,” said Dr. Gil Luria, one of the study’s conductors. They say there is no joy like the joy at another’s misfortune, but at what age do we already know how to feel and express it? Until now, researchers believed that children didn’t develop such a sophisticated emotion until the age of seven, but a new study conducted at the University of Haifa found evidence of schadenfreude in children as young as two. “The study strengthened the perception that schadenfreude is an evolutionary mechanism that develops within us as we cope with situations of inequality,” said Prof. Simone G. Shamay-Tsoory, of the University of Haifa’s Psychology Department, who led the study. In a new study conducted by the Sagol Department of Neurobiology at the University of Haifa and published recently in the Journal of Neuroscience, researchers report that they've found a way to improve memory by manipulating a specific molecule that is known to function poorly in old age and is closely linked to Alzheimer’s disease. For about half the women in Israel, giving birth for the first time and the transition into motherhood is associated with moderate to severe crisis, according to a new study conducted at the University of Haifa that examined for the first time how deep the experience of crisis after giving birth is. “The birth of a child is considered to be a positive event, however many women respond to the birth of their first child and the transition into motherhood with difficult feelings of general distress that can lead to severe emotional symptoms,” said Dr. Yeela Tomsis, who conducted the study. The American Society of the University of Haifa held it’s 2014 Gala at the American Museum of Natural History last night. Jamie deRoy was the Master of Ceremonies and introduced Ambassador Ido Aharoni,Consul General of Israel who spoke, as well as other dignitaries from the University. At the podium were Yariv Sultan VP, Professor Alfred I. Tauber, Chairman Board of Governors, and Yefet Ozery National Executive Director of ASUH. Sandra Frankel represented the Leona M. and Harry B Helmsley Charitable Trust was presented a Carmel Award of Merit by Alan Dershowitz. Audrey Gruss was also presented a Carmel Award which was presented by Professor Alfred I. Tauber. “In a region of collapsing countries that are in states of internal and external war, Israel must prepare for waves of immigrants from Arab countries to its territory, which may endanger its existence,” maintain Prof. Arnon Soffer, who holds the Reuven Chaikin Chair in Geostrategy, University of Haifa, and Dr. Anton Berkovsky, in a new article by the Chair. According to Prof. Soffer and Dr. Berkovsky, waves of immigrants already constitute a real danger to the future of Jordan, and the worst-case scenario would be if ISIS gained control of territories in Jordan and added them to its caphilate. A copper awl, the oldest metal object found to date in the Middle East, was discovered during the excavations at Tel Tsaf, according to a recent study published by researchers from the Zinman Institute of Archaeology and the Department of archaeology at the University of Haifa , in conjunction with researchers from the Hebrew University of Jerusalem and the German Archaeological Institute of Berlin. According to the study, the awl dates back to the late 6thmillennium or the early 5th millennium BCE, moving back by several hundred years the date it was previously thought that the peoples of the region began to use metals. The study found that for fifth-grade students who have already developed proficient reading skills, decreasing the font size enhanced their reading comprehension, whereas for second-grade students who are still acquiring reading skills, decreasing the font size actually impaired their comprehension. The “Bring Back Our Boys” online campaign on behalf of the teenagers who were kidnapped last Thursday night went viral almost immediately, attracting global interest and enlisting tens of thousands of people from all over the world in the fight to free the missing teens. The campaign was launched by graduates of the University’s Ambassadors Online program, and as of this writing, more than 200,000 people, from the United States to Fiji, had seen the posts. A one-of-a-kind initiative to establish a ‘Grandmaster Chess Research Project’ is taking shape at Israel’s University of Haifa in collaboration with vice world chess champion Grandmaster Boris Gelfand. The program is set to develop a novel academic approach to the skills and culture of chess-playing that can in turn contribute to social and scientific development. Why are words so important to so many Jews? Novelist Amos Oz and historian Fania Oz-Salzberger roam the gamut of Jewish history to explain the integral relationship of Jews and words. Through a blend of storytelling and scholarship, conversation and argument, father and daughter tell the tales behind Judaism’s most enduring names, adages, disputes, texts, and quips. Dr. Brenda Shaffer, a senior lecturer at the University of Haifa’s School of Political Sciences, and a world renowned expert in global energy politics, presented testimony before the U.S. Congressional Committee on Foreign Affairs Oversight Hearing on “Iranian Influence in the South Caucasus and the Surrounding Region”.